Shoots to Point Of Aim. The Glock 19 CO2 BB gun offers great realism, high FPS, strong shot count, very good accuracy and a low price. It's an easy HAM Gold Award winner. Of course, many will want a blowback version. This is coming, but while blowback brings operational realism, it also usually takes away FPS, shot count and accuracy. For now and for the future, the Glock 19 CO2 BB gun is an outstanding replica of the iconic firearm. It can be used as a firearms training tool or just a fun shooter. This is your chance to get a Glock for $70. Don't miss out! The Glock 19 CO2 BB gun plays in a highly-competitive section of the market. $70 is the Street Price for plenty of excellent firearms lookalike BB pistols, together with some which are less accurate versions of firearm originals. At this price point, most of the BB pistols are non-blowback, as is this Glock 19 CO2 BB gun. Non-blowback replica pistols are often regarded as inferior to blowback models. However they usually give an increased shot count and higher muzzle velocity than their blowback cousins, as this HAM story explains. There’s also some evidence that they can be more accurate than replica BB pistols with extreme blowback. 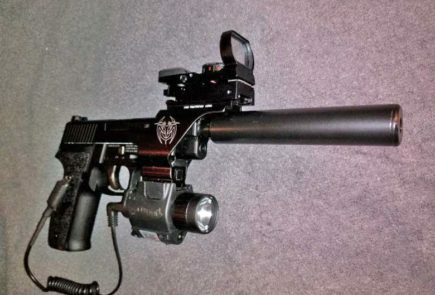 And this BB gun has an unique benefit in the eyes of many shooters. It’s a Glock! It’s the first of the long-awaited range of Glock BB-firing replicas. 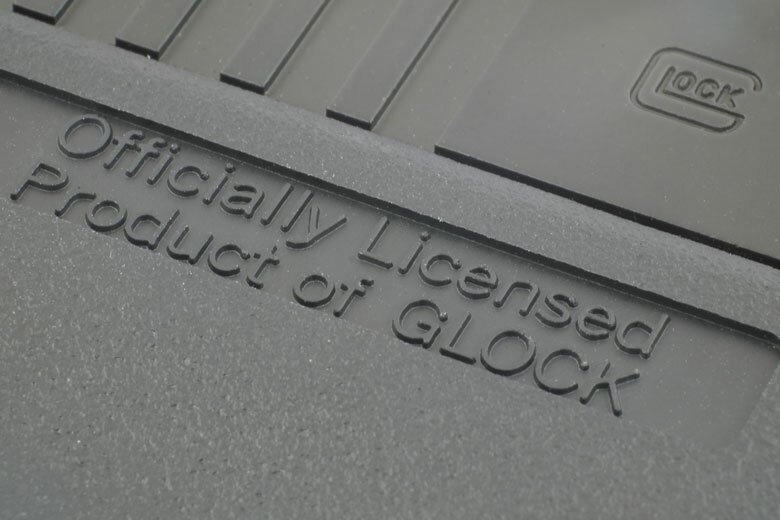 That means a lot of Glock fans will want it. And so long as they accept it as a non-blowback action, they won’t be disappointed. Ammo Type .177 caliber steel BBs. Power Source 1 x 12 Gram CO2 cartridge. Useful Shots per Fill About 96. The look and feel of the Glock 19 CO2 BB gun tested by HAM were extremely good. 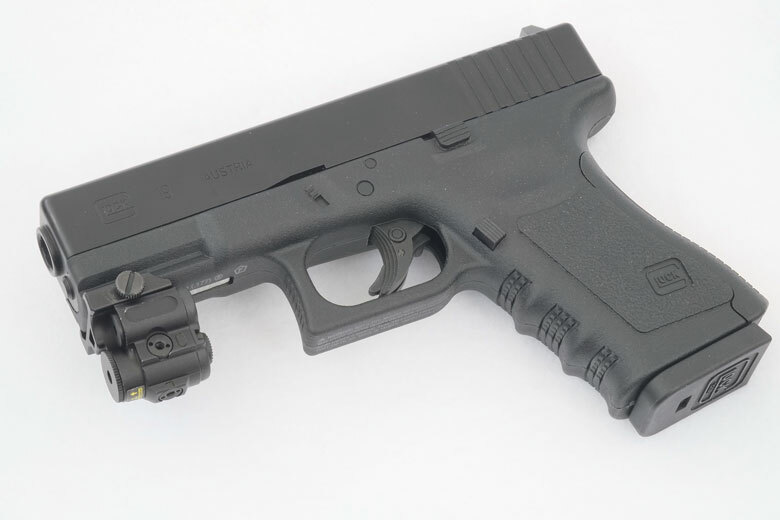 This is an extremely close representation of the Glock 19 Generation 3 centerfire pistol – the compact version of the Glock 17. At any range beyond about three feet, it’s impossible to tell the difference between centerfire and BB gun versions. 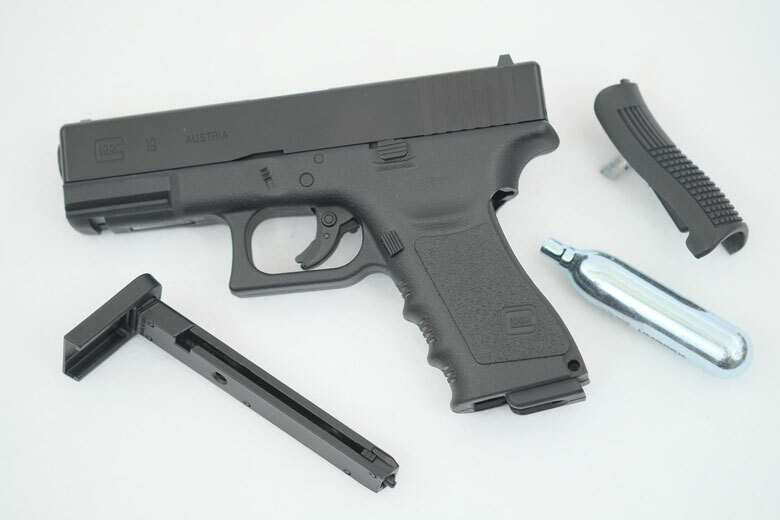 The Glock 19 CO2 BB gun tested by HAM weighed-in at 1 Lb 10 Oz (26 Ounces), while the centerfire version has an empty weight of 21 Ounces and a loaded weight of 30 Ounces. So, the Glock 19 CO2 BB gun weighs very much the same as a partly-full centerfire version. 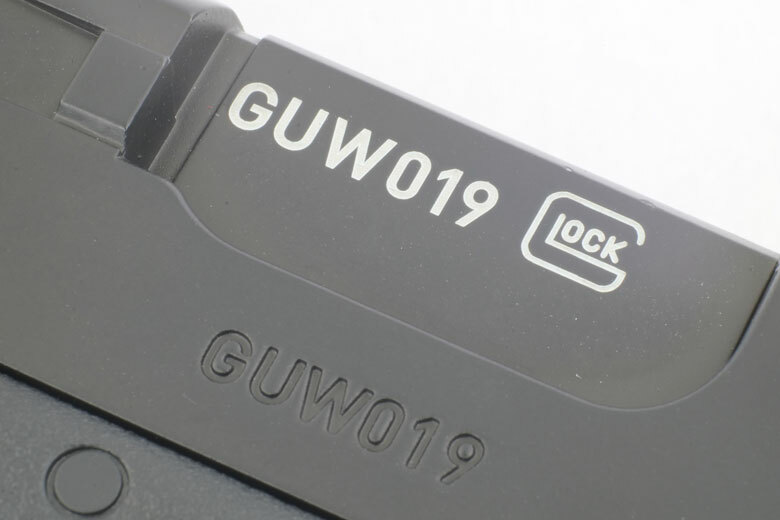 The sharply-executed “Officially Licensed Product of GLOCK” wording on the right side of the pistol grip is a nod to the fact that this is a BB gun, but it’s not obtrusive. Of course, this is the non-blowback version. That inevitably also means that few of the controls also function. The magazine release operates correctly, as does the trigger safety. But don’t expect the slide, slide release, slide lock, extractor etc to work. They’re fixed moldings. Concern for realistic appearance also extends right down to the base of the magazine – as we can see from the photograph below. Again, note the extremely sharp and realistic molding. 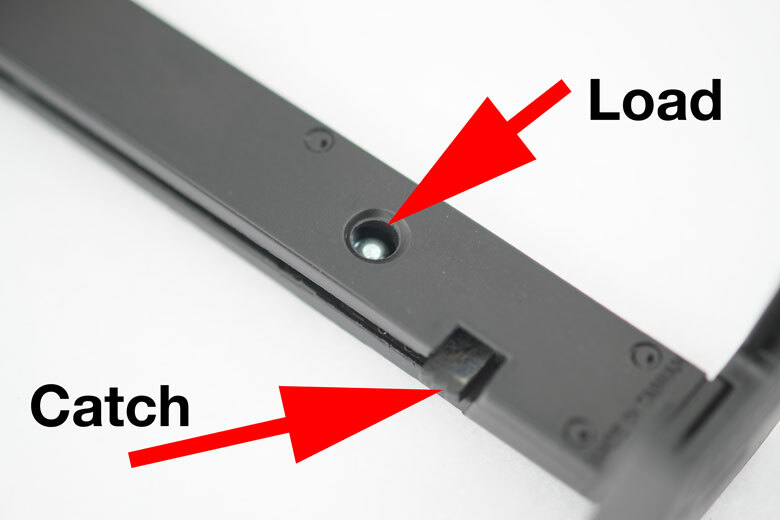 The back strap of the Glock 19 CO2 BB gun is removable for loading 12 Gram CO2 cartridges. However, this deviation in design from the centerfire version is so well executed that it’s not objectionable in any way to the HAM Team. The removable back strap also holds a folding hex key which is used to tighten the CO2 cartridge retaining screw. That screw is completely invisible in normal use as it’s covered by the base of the magazine. 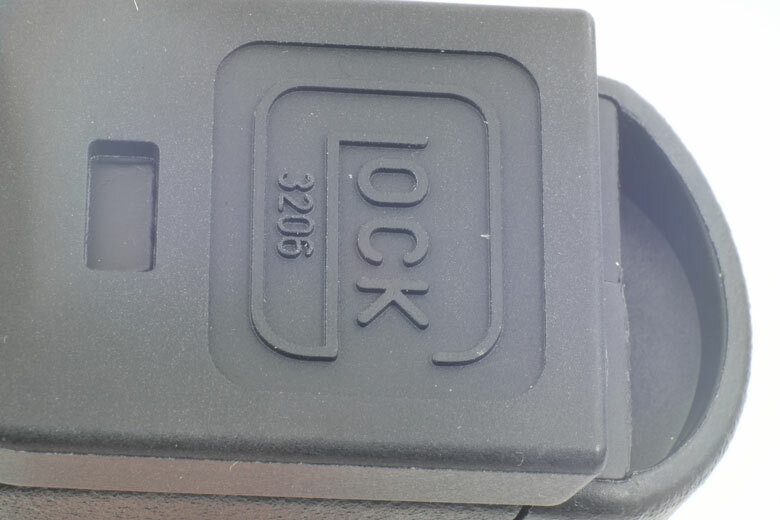 Another example of very careful and clever design being incorporated into the Glock 19 CO2 BB gun. HAM Tester Doug Wall was impressed with the Glock 19 CO2 BB gun. He wrote in his testing notes: “Quite accurate and POI is right on when using a 6 o’clock hold”. All 60 shots on the HAM test targets at both 6 and 10 Yard ranges hit the “soda can” section of the test target. This is very good accuracy from any BB pistol. As remarked earlier, strong accuracy is more common in non-blowback replica BB pistols and the Glock 19 CO2 BB gun conforms to that pattern. In particular, the Point Of Impact at 6 Yards was very good – certainly better than the majority of BB pistols tested by HAM. 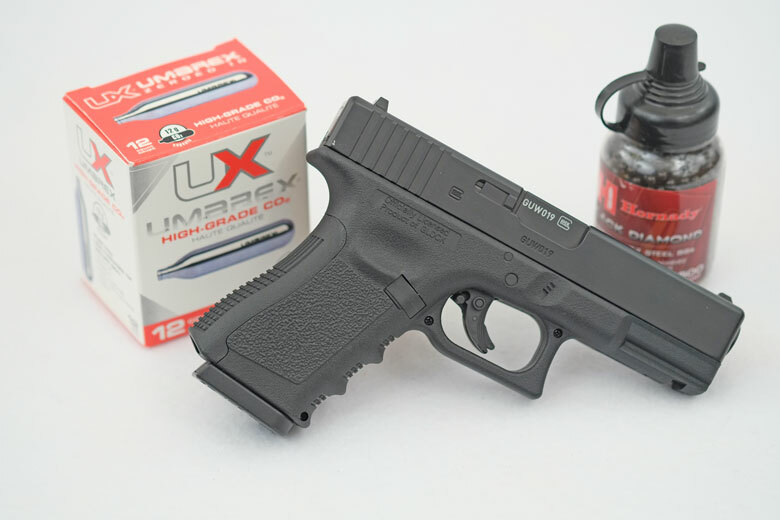 Umarex claims that the Glock 19 CO2 BB gun offers “the unmistakable look of the original pistol and plenty of power”. HAM agrees! The Muzzle Velocity claim is 410 FPS. 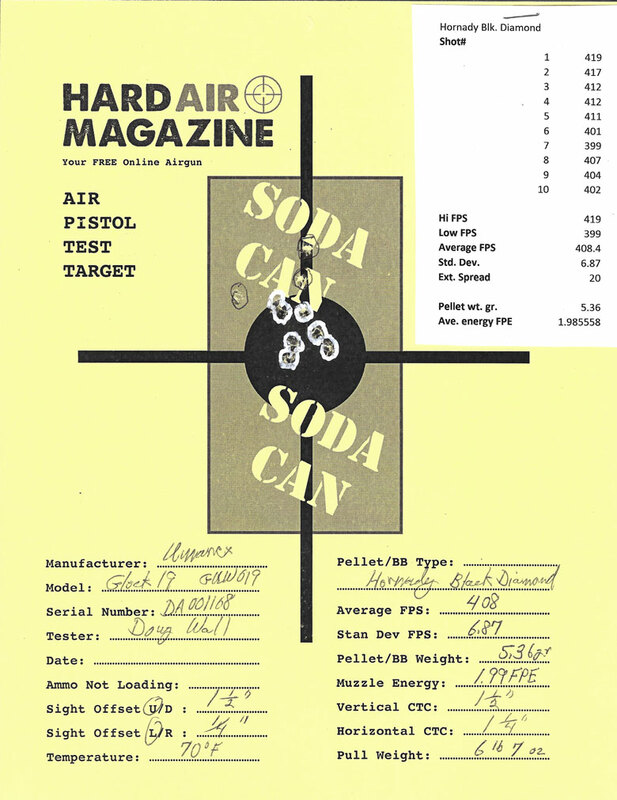 For the first time ever, a replica BB pistol tested on the cool HAM range actually exceeded the manufacturer’s claims. 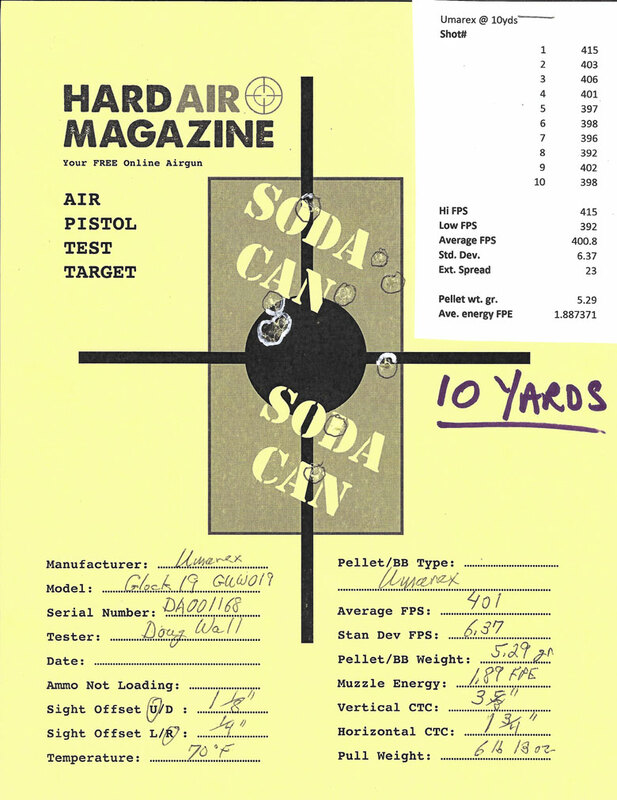 HAM Tester Doug Wall saw a peak 10-shot string average of 412 FPS at 70 degrees F with Crosman Copperhead BBs. The fastest individual shots recorded 420 FPS! We know that all CO2-powered airguns shoot faster in warmer temperatures by about 2 FPS per degree F. This means that – taking that 412 FPS average – the expected FPS for the Glock 19 CO2 BB gun tested by HAM would be as high as 442 FPS at 85 degrees. Clearly, the manufacturer’s claims for the Glock 19 CO2 BB gun are very realistic and will be achieved by many shooters in practice. Consistency was also a strong suit for the Glock 19 CO2 BB gun tested by HAM. FPS very uniform across the range of standard HAM test BBs. The Standard Deviation, the statistical expression of variability within a shot string was low at an average of just 6.13 FPS. This is very good performance for any airgun, especially a BB pistol! 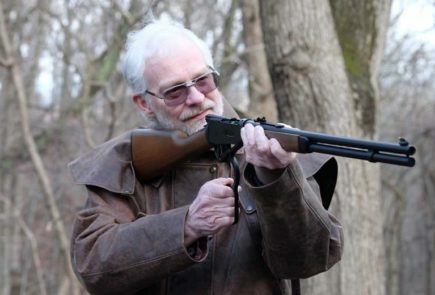 Accuracy and Point Of Impact were also both pretty consistent across the range of test BBs, although the Crosman Copperheads just nudged ahead in Doug Wall’s hands. Trigger pull weight of the Glock 19 CO2 BB gun tested by HAM was also very consistent. It varied by only +/- 4 ounces around the 6 Lbs 4 Oz average. 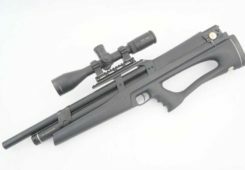 This variability was undetectable to the shooter and – again – would be considered good for all but the most expensive airguns. 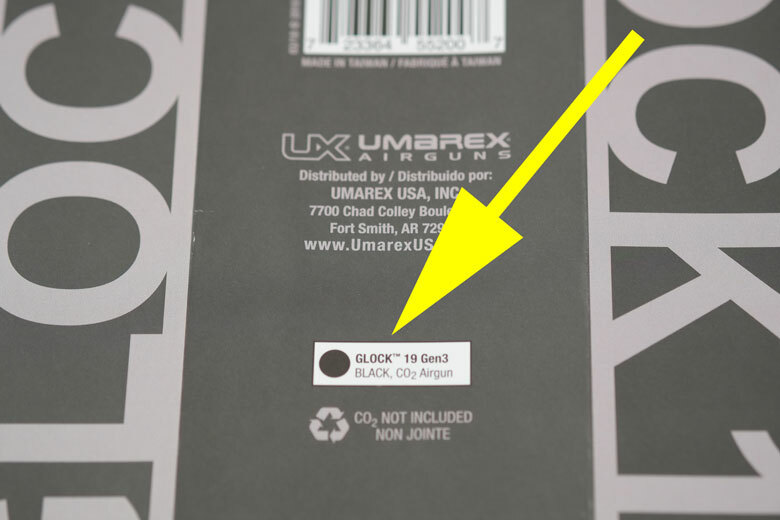 Below, the “Gen 3” designation for the Glock 19 CO2 BB gun is marked on the base of the packaging. 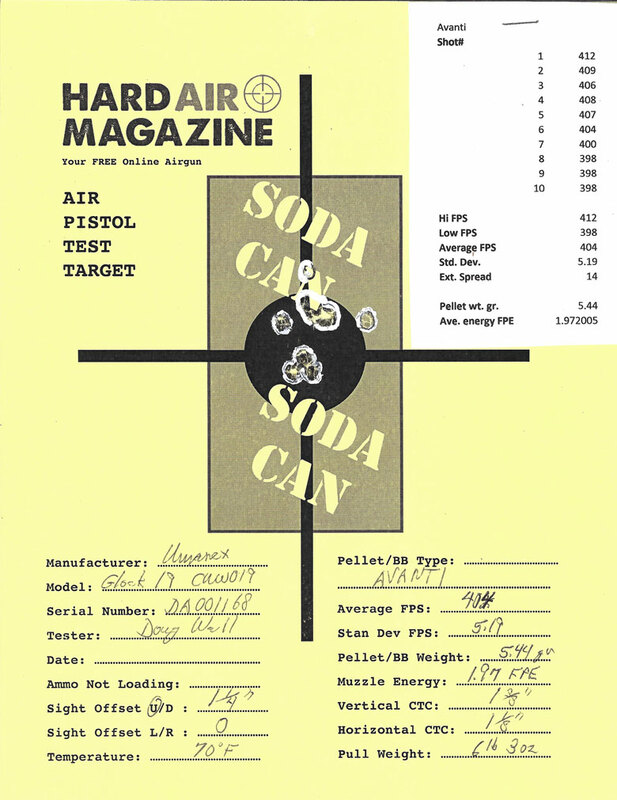 The trigger of the Glock 19 CO2 BB gun tested by HAM was very close in pull weight to that of the firearm original. Glock gives a specification of 6 Lbs 5 Oz for the firearm. 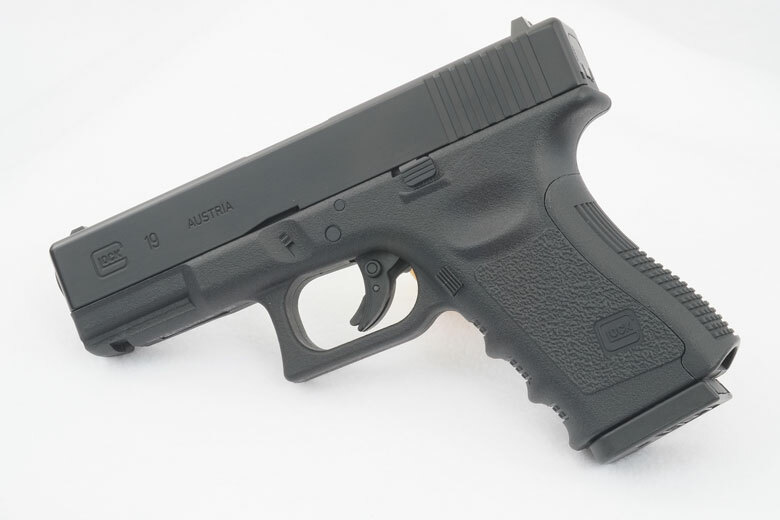 The Glock 19 CO2 BB gun we tested recorded an average of 6 Lbs 4 Oz. It’s tough to get any better than that with any firearms replica! 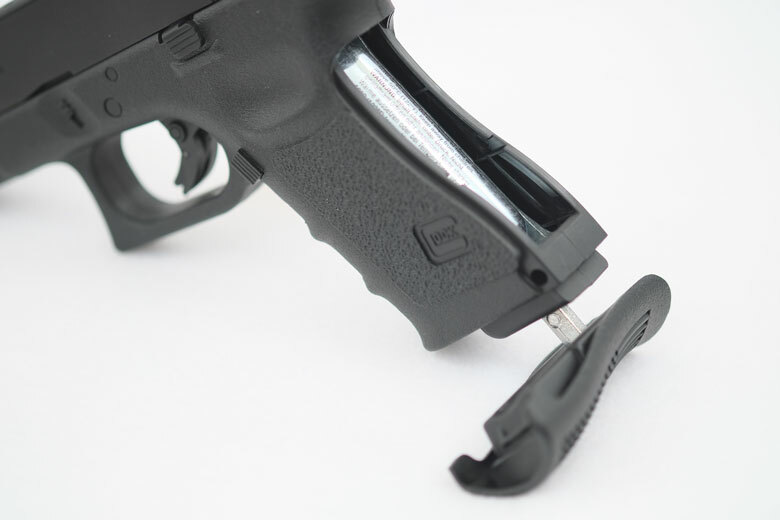 The trigger features Glock’s iconic trigger blade safety. That works well in the Glock 19 CO2 BB gun. So it’s particularly surprising that there’s a second, additional safety added to the trigger. 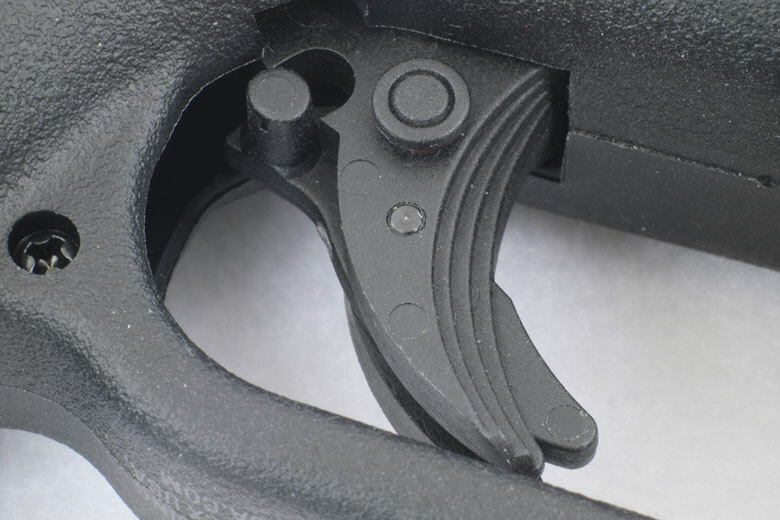 This is a simple “push across” trigger block device that simply bears against the pistol grip to prevent a discharge. As a non-blowback model, the Glock 19 CO2 BB gun of course is limited in the realism that’s possible from its other features. It can’t be field-stripped and most of the controls don’t function – as already described. That’s just the way it is with non-blowback replica pistols. But remember that you do get more power, higher shot count, better accuracy and a lower price in exchange! The Glock 19 CO2 BB gun gave an excellent 96 shots before the Muzzle Velocity dropped down to 200 FPS. As we remarked in a previous HAM story about BB pistols, this is an outstanding performance – particularly given the high FPS it produces. Yes, that combination of FPS and shot count is higher than blowback replica pistols: it’s better than that of many non-blowback models too. Maximum Muzzle Velocity for the Glock 19 CO2 BB gun tested by HAM was an average of 412 FPS with Crosman Copperhead 5.13 Grain BBs at a temperature of 70 degrees F. That gives a Muzzle Energy of 1.94 Ft/Lbs, which is very creditable for a BB pistol. Crosman Copperhead 5.13 Grain 412 FPS 1.94 Ft/Lbs Very Good. Umarex Steel 5.29 Grain 407 FPS 1.94 Ft/Lbs Very Good. Best Tested. ASG Blaster 5.32 Grain 401 FPS 1.90 Ft/Lbs Very Good. Hornady Black Diamond 5.36 Grain 408 FPS 1.99 Ft/Lbs Very Good. Daisy Avanti 5.44 Grain 404 FPS 1.97 Ft/Lbs Very Good. 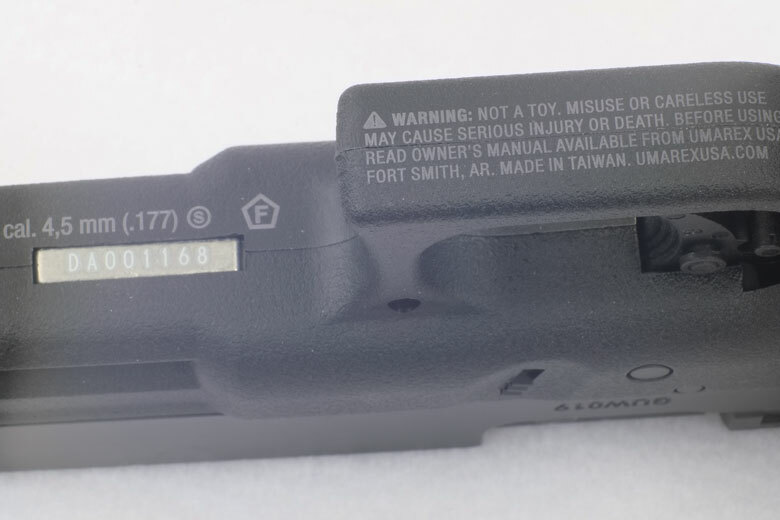 Unlike most other firearms replicas, the Glock 19 CO2 BB gun has the obligatory legal information and airgun markings printed inconspicuously on the underside of the frame. And the printing is in low-contrast gray, too, not the stark white that sometimes disfigures otherwise-accurate reproductions. 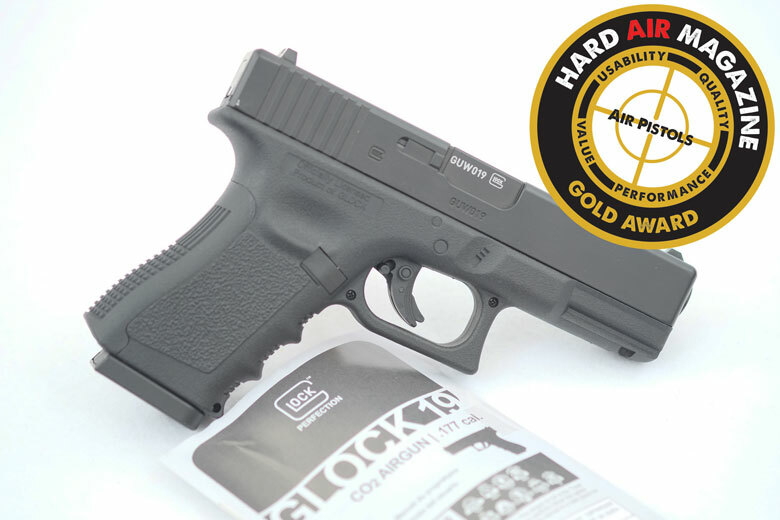 The Glock 19 CO2 BB gun is readily available from the major online airgun specialists such as Pyramyd Air and Airgun Depot. However, given the cachet of the Glock brand, we can see this being sold by big box sporting goods stores – and even smaller firearms dealerships – as a low cost trainer in future. BB loading is an absoloute breeze! HAM Tester Doug Wall noted that the Glock 19 CO2 BB gun has “one of the best magazine loading systems out there”. Of course, the high shot count makes the Glock 19 CO2 BB gun both economical to shoot and reduces the frequency of loading CO2 cartridges. It’s all good for increasing trigger time! As usual with Umarex replica BB guns, the warranty period is only 3 months. The owner’s manual is clearly-written and well illustrated. It’s in English, French and Spanish. SAFETY FIRST. As with all BB-firing airguns, it’s necessary to wear shooting glasses when firing this airgun. Also do not shoot at hard surfaces or water. BBs tend to bounce off these surfaces and may hit you, or something other than what you intended. If in doubt, don’t pull the trigger! Due to the realistic appearance of this product, handle it as you would a firearm. Do not display it in public or in any place where it could be mistaken for a cartridge firearm.